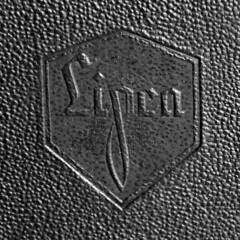 Lipca, which is short for Lip­pi­sche Ca­me­rafa­brik Rich­ter & Fi­scher, was started by a business agreement on October 30th 1947 in Barntrup, Germany, by the former owners of Kamera-Werk C. Richter, the married couple Fritz and Charlotte Richter together with Karl Fischer, a Master of Business Administration. Some months earlier, in June 1947, the Richter couple secretly left the Soviet zone in occupied Germany together with part of the employees and machinery of Kamera-Werk C. Richter Tharandt (near Dresden) as they feared an upcoming expropriation of that factory. 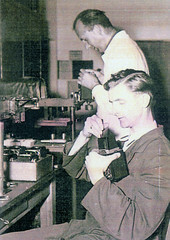 They decided to settle in Barntrup, the hometown of Karl Fischer, first in a rented part of a cigarette factory but soon in a new building at Im Wied 4. Fritz Richter died in a tragic car accident in January 1948 while en route to a business meeting to discuss the plans for another camera factory in Bünde (later known as Balda Bünde). 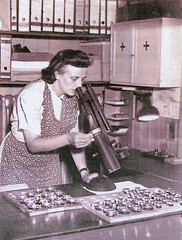 The "Lippischen Camerafabrik Richter & Fischer GmbH" Barntrup was then officially founded on May 14th 1948 by the widow Charlotte Richter and Karl Fischer. Lipca never was a big company, at the peak of their camera production, up to a 1000 per month, in 1957/1958 it had about 50 employees. That workforce was however like a close-knit family. It was not unusual that when they went on holiday they could lent a Lipca company TLR for taking their photos. 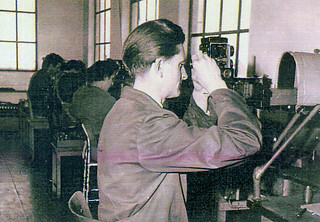 Production at the Lipca factory consisted for the main part of their successive TLR cameras, the Flexo, Flexora and Rollop. 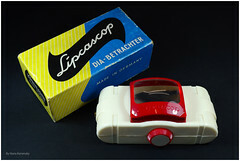 However they also produced a slide viewer, the Lipcascop. Furthermore Lipca also did work for other companies, they license build an instant-camera photo boot, the Opiphot and there was a good relationship with the Plaubel company which resulted in production work for about 2000 Brooks-Plaubel Veriwide 100 cameras. There are also binoculars with the Lipca name observed. In March 1961 the company moved to another location, Bad Nauheim, and registered there under the name "Lipca GmbH". At least the Rollop TLR was produced there for a short while. 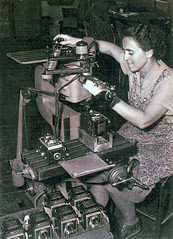 Camera production ceased mid 1962. The Lipca GmbH was officially dissolved on 29th March 1972. 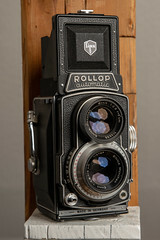 The Rollop 35 was a last-ditch attempt of Lipca to enter the 35mm camera market after the sharp decline of medium format TLR's sales at the beginning of the 1960's. Lipca didn't produce the Rollop 35 by itself, they were relabeled cameras bought from King (Regula Rapid SL and Regula LBK) and Franka (Franka 125 and Franka 125 L). Image courtesy of Herr Ulf Schopfer. Peter Barz, article "Lipca Teil 1, eine Neugründung der Nachkriegszeit" in the German magazine "Photographica Cabinett 25/02"
Peter Barz, article "Lipca Teil 2, Die Kameras der Lippischen Camerafabrik Richter & Fischer GmbH, Barntrup" in the German magazine "Photographica Cabinett 26/02"
Peter Barz, article "Lipca Teil 3, Lipca, Lippische Camerafabrik Richter & Fischer GmbH, Barntrup" in the German magazine "Photographica Cabinett 27/02"
This page was last edited on 3 February 2019, at 22:12.